Prof. Costas Lambrinoudakis holds a B.Sc. (Electrical and Electronic Engineering) from the University of Salford (1985), an M.Sc. (Control Systems) from the University of London (Imperial College -1986), and a Ph.D. (Computer Science) from the University of London (Queen Mary and Westfield College – 1991). Currently, he is a Professor at the Department of Digital Systems, University of Piraeus, Greece. From 1998 until 2009 he has held teaching position with the University of the Aegean, Department of Information and Communication Systems Engineering, Greece. 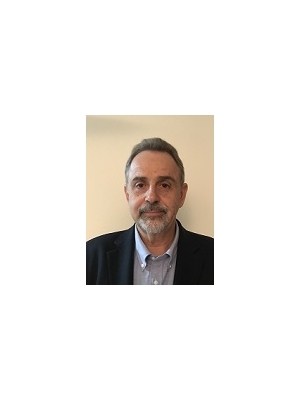 For the period 2012-2015, he was a member of the board of the Hellenic Authority for Communication Security and Privacy, while from 2016 he serves on the board of the Hellenic Data Protection Authority. Finally, from 2015, he is Head of the Department of Digital Systems and Director of the Systems Security Lab. His current research interests are in the areas of Information and Communication Systems Security and of Privacy Enhancing Technologies. For many years he is working on issues related to the protection of personal data and the compliance of information systems to the National and European Legislation. He is the author of more than 100 scientific publications in refereed international journals, books and conferences, most of them on ICT security and privacy protection issues. He has served as program committee chair of 15 international scientific conferences and as a member on the program and organizing committees in more than 150 others. Also, he participates in the editorial board of two international scientific journals and he acts as a reviewer for more than 35 journals. He has been involved in many national and EU funded R&D projects in the area of Information and Communication Systems Security. He is a member of the ACM and the IEEE. Lyvas C., Lambrinoudakis C., Geneiatakis D., “Dypermin: Dynamic Permission Mining Framework for Android Platform”, Computers and Security Journal (indexed in ISI/SCI-E), Elsevier, 2017 (accepted). Georgiou D., Lambrinoudakis C., “Security Policy Rules and Required Procedures for Two Crucial Threats of Cloud Computing”, International Journal of Electronic Governance, Special Issue on Citizen Rights in the World of the New Computing Paradigms, Inderscience Publishers, 2017 (under review). Drogkaris P., Gritzalis S., Kalloniatis C., Lambrinoudakis C., “Hierarchical Multitier Approach for Privacy Policies in e-Government Environments”, Future Internet (indexed in ESCI), Vol. 7, pp. 500-515; DOI:10.3390/fi7040500, MDPI, 2015. Pitropakis N., Pikrakis A., Lambrinoudakis C., “Behaviour reflects personality: detecting co-residence attacks on Xen-based cloud environments”, International Journal of Information Security (indexed in ISI/SCI-E), Volume 14, Issue 4, pp 299–305, Elsevier, 2015. Pitropakis N., Anastasopoulou D., Pikrakis A., Lambrinoudakis C., “If you want to know about a hunter, study his prey: detection of network based attacks on KVM based cloud environments”, Journal of Cloud Computing: Advances, Systems and Applications, Vol.3:20, DOI: 10.1186/s13677-014-0020-6, Springer, 2014. Vrakas N., Geneiatakis D., Lambrinoudakis C., “Obscuring Users’ Identity in VoIP/IMS Environments”, Computers and Security Journal (indexed in ISI/SCI-E), 43, pp. 145-158, Elsevier, 2014. Vrakas N., Lambrinoudakis C., “An Intrusion Detection and Prevention System for IMS and VoIP Services”, International Journal of Information Security (indexed in ISI/SCI-E), Vol. 12, No.3, pp. 201-217, Springer, 2013. Drogkaris P., Gritzalis S., Lambrinoudakis C., “Employing privacy policies and preferences in modern e-government environments”, International Journal of Electronic Governance, Vol. 6, No. 2, pp. 101-116, Inderscience Publishers, 2013. Vrakas N., Geneiatakis D., Lambrinoudakis C., “Evaluating the Security and Privacy Protection Level of IP Multimedia Subsystem Environments”, IEEE Communications Surveys and Tutorials (indexed in ISI/SCI-E), Vol. 15, No.2, pp. 803-819, IEEE Press, 2013. Lambrinoudakis C., “Evaluating and Enriching Information and Communication Technologies Compliance Frameworks with Regard to Privacy”, Information Management & Computer Security, Vol.21, No.3, pp. 177-190, Emerald, 2013. Vrakas N., Lambrinoudakis C., “A Cross Layer Spoofing Detection Mechanism for Multimedia Communication Services”, International Journal of Information Technologies and the Systems Approach, Special Issue on Privacy and Security Issues in IT, Vol.4, Issue 2, pp. 32-47, IGI Global, 2011. Terzis I., Kambourakis G., Karopoulos G., Lambrinoudakis C., “Privacy Preserving Context Transfer Schemes for 4G Networks”, Wireless Communications and Mobile Computing (indexed in ISI/SCI-E), Special Issue on Network Security and Digital Forensics in Next Generation Communications, Vol.11, Issue 2, pp. 289-302, Wiley, 2011. Tsohou Α., Kokolakis S., Lambrinoudakis C., Gritzalis S., “A Security Standards’ framework to facilitate best practices’ Awareness and Conformity”, Information Management & Computer Security, Vol. 18, No.5, pp. 350-365, Emerald, 2010. Kambourakis G., Geneiatakis D., Gritzalis S., Lambrinoudakis C., Dagiuklas A., Ehlert S., Fiedler J., “High Availability for SIP: Solutions and Real-Time Measurement Performance Evaluation”, International Journal of Disaster Recovery and Business Continuity, 1, No.1, pp. 11-29, SERSC, 2010. Tsohou A., Lambrinoudakis C., Kokolakis S., Gritzalis S., “The Importance of Context Dependant Privacy Requirements and Perceptions to the Design of Privacy Aware Systems”, The European Journal of the Informatics Professional (UPGrade, upgrade-cepis.org), Special Issue: Privacy and Identity Management, Vol. xi, No. 1, pp.32-37, also in Novatica journal, Issue 202 (www.ati.es/novatica), 2010. Rizomiliotis P., Tsohou A., Lambrinoudakis C., Gritzalis S., “Security and Privacy Issues in Bipolar Disorder Research”, The Journal on Information Technology in Healthcare, Vo. 7, No. 4, 244-250 (republication of the C.28. article), HL7, 2009. Geneiatakis D., Vrakas N., Lambrinoudakis C., “Utilizing Bloom Filters for Detecting Flooding Attacks against SIP Based Services”, Computers and Security Journal (indexed in ISI/SCI-E), 28, Issue 7, pp. 578-591, Elsevier, 2009. Geneiatakis D., Lambrinoudakis C., Kambourakis, G., “An Ontology Based-Policy for Deploying Secure SIP- based VoIP Services”, Computers and Security Journal (indexed in ISI/SCI-E), 27, Issues 7-8, pp. 285-297, Elsevier, 2008. Gritzalis S., Yannacopoulos A., Lambrinoudakis C., Hatzopoulos P., Katsikas S., “A Probabilistic Model for Optimal Insurance Contracts against Security Risks and Privacy Violation in IT Outsourcing Environments”, International Journal of Information Security (indexed in ISI/SCI-E), Vol.6, No.4, pp. 197-211, Springer, 2007. Geneiatakis D., Dagiuklas A., Kambourakis G., Lambrinoudakis C., Gritzalis S., Ehlert S., Sisalem D., «Survey of Security Vulnerabilities in Session Initiation Protocol», IEEE Communications Surveys and Tutorials (indexed in ISI/SCI-E), Vol.8, No.3, pp. 68-81, IEEE Press, 3rd Quarter 2006. Maglogiannis I., Zaﬁropoulos E., Platis A., Lambrinoudakis C., “Risk analysis of a patient monitoring system using Bayesian Network modeling”, Journal of Biomedical Informatics (indexed in ISI/SCI-E), Vol. 39, No. 6, pp. 637-647, Elsevier, 2006. Kokolakis S., Lambrinoudakis C., “ICT Security Standards for Healthcare Applications”, The European Journal of the Informatics Professional (UPGrade, upgrade-cepis.org), Special Issue: Standardization for ICT Security, Vol. 6, No. 4, pp. 47-54, also in Novatica journal, Issue 176 (www.ati.es/novatica), 2005. Deftereos S., Lambrinoudakis C., Gritzalis S., Andriopoulos P., Georgonikou D., Aessopos A., “A macro-directive mechanism to automate updating and processing of the contents of CEN-compatible Electronic Healthcare Records”, Medical Informatics and the Internet in Medicine International Journal (indexed in ISI/SCI-E), 28, No. 1, pp. 21-41, Taylor and Francis Publications, 2003. Lambrinoudakis C., Gritzalis S., Dridi F., Pernul G., “Security Requirements for e-Government Services: A methodological approach for developing a common PKI based security policy”, Computer Communications (indexed in ISI/SCI-E), Vol. 26, Issue 16, pp. 1873-1883, Elsevier, 2003. Lambrinoudakis C., Maistros G., Bofilios D., Darzentas J., “An Architecture for an Intelligent Support System for Design Validation and Manufacturing of Aerospace Components”, International Transactions in Operational Research (indexed in ISI/SCI-E), Vol. 10(4), pp. 351-363, Blackwell Publishers, 2003. Deftereos S., Lambrinoudakis C., Andriopoulos P., Farmakis D., Aessopos A., “A Java-based Electronic Healthcare Record software for beta-Thalassaemia”, Journal of Medical Internet Research (indexed in ISI/SCI-E), Vol.3(4):e33, 2001. Konstantopoulos, M., Spyrou, T., Koutsabasis, P., Darzentas, J.S., Lambrinoudakis, C., Darzentas, J., “The Role of Directory Services in Online Education Delivery: The GESTALT Example”, International Journal of Continuing Engineering Education and Life-Long Learning, Vol.11, Nos 1/2, pp. 5-24, Inderscience Enterprises Ltd, 2001. Lambrinoudakis C., Gritzalis S., “Managing Medical and Insurance Information through a Smart Card Based Information System”, Journal of Medical Systems (indexed in ISI/SCI-E), Vol. 24, No. 4, pp. 213-234, Kluwer Academic Publisher, 2000. Lambrinoudakis C., “Smart Card Technology for Deploying a Secure Information Management Framework”, Information Management and Computer Security Journal, Vol. 8, Issue 4, pp. 173-183, MCB University Press, 2000. Gritzalis, D., Lambrinoudakis C., “A Data Protection Scheme for a Remote Vital Signs Monitoring Healthcare Service”, Medical Informatics and the Internet in Medicine International Journal (indexed in ISI/SCI-E), Vol.25, No.3, pp. 207-224, Taylor and Francis Publications, 2000. Beal D. and Lambrinoudakis C., “Design of a Reconfigurable High Performance Massively Parallel SIMD System”, International Journal of High Speed Computing (indexed in ISI/SCI-E), Vol.7, No.3, pp. 365-390, World Scientific Publishing Company, 1995. Pitropakis N., Lyvas C., Lambrinoudakis C., “The greater the power, the more dangerous the abuse: Facing Malicious Insiders in the Cloud ”, Proceedings of the 8th International Conference on Cloud Computing, GRIDs, and Virtualization, Track Security and Privacy in Cloud Computing (SEPRICC 2017), IARIA Xpert Publishing Services, Athens, February 2017. Georgiopoulou Z., Lambrinoudakis C., “Trust Management Parameters in Cloud Computing Environments”, Proceedings of the 8th International Conference on Cloud Computing, GRIDs, and Virtualization, Track Security and Privacy in Cloud Computing (SEPRICC 2017), 152-155, IARIA Xpert Publishing Services, Athens, February 2017. Lyvas C., Pitropakis N., Lambrinoudakis C., “The Far Side of Mobile Application Integrated Development Environments”, Proceedings of the 13th International Conference on Trust, Privacy and Security in Digital Business (TrustBus’16), pp. 111-122, Springer LNCS 9830, Porto, Portugal, September 2016. Georgiopoulou Z., Lambrinoudakis C., “Literature Review of Trust Models for Cloud Computing”, Proceedings of the 2016 International Conference on Cloud Computing and Big Data (CloudCom-Asia), IEEE Xplore, Hong Kong, China, June 2016. Pitropakis N., Lambrinoudakis C., Geneiatakis D., “Till All are One: Towards a Unified Cloud IDS”, Proceedings of the 12th International Conference on Trust, Privacy and Security in Digital Business (TrustBus’15), pp. 136-149, Springer LNCS 9264, Valencia, Spain, September 2015. Makri E. L., Lambrinoudakis C., “Privacy Principles: Towards a Common Privacy Audit Methodology”, Proceedings of the 12th International Conference on Trust, Privacy and Security in Digital Business (TrustBus’15), pp. 219-234, Springer LNCS 9264, Valencia, Spain, September 2015. Makri E. L., Lambrinoudakis C., “Towards a Common Security and Privacy Requirements Elicitation Methodology”, Proceedings of the 10th International Conference Global Security, Safety and Sustainability (ICGS3 2015), 151-160, Springer CCIS 534, London, UK, September 2015. Kontoudis D., Fouliras P., Lambrinoudakis C., “Statistics-driven Datacenter Resources Provisioning”, Proceedings of the 19th Panhellenic Conference on Informatics (PCI 2015), pp. 185-190, ACM Digital Library (doi 10.1145/2801948.2801971), Athens, October 2015. Georgiou D., Lambrinoudakis C., “Cloud Computing Security Requirements and a Methodology for their Auditing”, Proceedings of the 6th International Conference on e-Democracy – Citizen Rights in the World of the New Computing Paradigms (eDemocracy 2015), 51-61, Springer CCIS 570, Athens, Greece, December 2015. Georgiou D., Lambrinoudakis C., “A Security Policy for Cloud Providers”, Proceedings of the 9th International Conference on Internet Monitoring and Protection (ICIMP 2014), pp. 13-21, IARIA, ISBN: 978-1-61208-362-9, Paris France, 2014. Pitropakis N., Yfantopoulos N., Geneiatakis D., Lambrinoudakis C., “Towards an Augmented Authenticator in the Cloud”, Proceedings of the 14th IEEE International Symposium on Signal Processing and Information Technology (ISSPIT’14), pp. 296-300, IEEE Computer Society Press, Noida, India, December 2014. Drogkaris P., Gritzalis A., Lambrinoudakis C., “Empowering Users to Specify and Manage Their Privacy Preferences in e-Government Environments”, Proceedings of the EGOVIS’14 International Conference on Electronic Government and the Information Systems Perspective, A. Kő and E. Francesconi (Eds. ), pp. 237-245, Springer LNCS 8650, Munich, Germany, 2014. Belsis P., Gritzalis S., Lambrinoudakis C., Skourlas C., Tsoukalas V., Vassis D., “An Agent Based Architecture Benchmark”, Proceedings of the 3rd IC-ININFO International Conference on Integrated Information, pp. 429-435, Elsevier, Procedia, Prague, Czech, 2014. Pitropakis N., Darra E., Vrakas N., Lambrinoudakis C., “It’s all in the Cloud: Reviewing Cloud Security”, IEEE 10th International Conference on Autonomic & Trusted Computing (ATC-2013), pp. 355-362, IEEE Computer Society, Vietri sul Mare, Italy, December 2013. Lalas E., Mitrou L., Lambrinoudakis C., “ProCAVE: Privacy-Preserving Collection and Authenticity Validation of Online Evidence”, Proceedings of the 10th International Conference on Trust, Privacy and Security in Digital Business (TrustBus’13), pp. 137-148, Springer LNCS 8058, Prague, Czech Republic, August 2013. Pitropakis N., Lambrinoudakis C., Geneiatakis D., Gritzalis D., “A Practical Steganographic Approach for Matroska based High Quality Video files”, 7th International Symposium on Security and Multimodality in Pervasive Environment (SMPE-2013), pp. 684-688, IEEE Computer Society Press, Barcelona, Spain, March 2013. Lalas E., Papathanasiou A., Lambrinoudakis C., “Privacy and Traceability in Social Networking Sites”, Proceedings of the 16th Panhellenic Conference on Informatics (PCI 2012), 127-132, IEEE Xplore, Piraeus, Greece, October 2012. Vrakas N., Geneiatakis D., Lambrinoudakis C., “Is IP Multimedia Subsystem Affected by ‘Malformed Message’ Attacks? – An Evaluation of OpenIMS”, Proceedings of the International Conference on Security and Cryptography (SECRYPT 2011), pp. 275-280, Science and Technology Publications Digital Library, Seville, Spain, 2011. Agudo I., Nuñez D., Giammatteo G., Rizomiliotis P., Lambrinoudakis C., “Cryptography goes to the Cloud”, Proceedings of the 1st International Workshop on Security & Trust for Applications in Virtualised Environments (STAVE 2011), pp. 190-197, Springer, Loutraki, Greece, 2011. Drogkaris P., Gritzalis S., Lambrinoudakis C., “Transforming the Greek e-Government Environment towards the e-Gov 2.0 Era”, Proceedings of the EGOVIS’10 International Conference on Electronic Government and the Information Systems Perspective, K. N. Andersedn, et al. (Eds. ), pp. 142-149, Springer LNCS 6267, Bilbao, Spain, September 2010. Vrakas Ν., Geneiatakis D., Lambrinoudakis C., “A Call Conference Room Interception Attack and its Detection”, Proceedings of the 7th International Conference on Trust, Privacy and Security in Digital Business (TrustBus’10), 38-44, Springer LNCS 6264, Bilbao, Spain, September 2010. Vrakas Ν., Kalloniatis C., Tsohou A., Lambrinoudakis C., “Privacy Requirements Engineering for Trustworthy e-government Services”, Proceedings of the 3rd International Conference on Trust and Trustworthy Computing (TRUST’10), 298-307, Springer LNCS 6101, Berlin, Germany, June 2010. Geneiatakis D., Lambrinoudakis C., Gritzalis S., “A Hierarchical Model for Cross-Domain Communication of Health-Care Units”, Proceedings of NSS 2009 – 3rd International Conference on Network and System Security, Y. Xiang, J. Lopez, H. Wang (Eds. ), pp. 123-129. IEEE Computer Society Press, Gold Coast, Australia, October 2009. Tsohou A., Kokolakis S., Lambrinoudakis C., Gritzalis S., “Information Systems Security Management: A review and a classification of the ISO standards”, Proceedings of the e-Democracy 2009 – 3rd Conference on Electronic Democracy – Next Generation Society: Technological and Legal Issues, A. Sideridis, C. Patrikakis (Eds. ), Vol. 26, pp. 220-235, Springer Lecture Notes of the Institute for Computer Sciences, Social Informatics and Telecommunications Engineering, Athens, Greece, September 2009. Drogkaris P., Gritzalis S., Lambrinoudakis C., “Enabling Secure Data Management in e-Government Environments: The Greek Case”, Proceedings of ongoing research and projects of EGOV 09 – 8th International Conference, EGOV 2009, H. J. Scholl, M. Janssen, R. Traunmüller, M. A. Wimmer (Eds. ), Trauner Verlag, Linz, Austria, September 2009. Drogkaris P., Lambrinoudakis C., Gritzalis S., “Introducing Federated Identities to One-Stop-Shop e-Government Environments: The Greek Case”, Proceedings of the eChallenges 2009 Conference, P. Cunningham, M. Cunningham (Eds. ), IIMC International Information Management Corporation Ltd, Istanbul, Turkey, October 2009. Rizomiliotis P., Tsohou A., Lambrinoudakis C., Gritzalis S., “Security and Privacy Issues in Bipolar Disorder Research”, Proceedings of the 7th International Conference on Information and Communication Technologies in Health (ICICTH), Hasman et al. (Eds. ), INEAG, Samos, Greece, July 2009. Geneiatakis D., Lambrinoudakis C., Kambourakis G., Kafkalas A., Ehlert S., “A First Order Logic Security Verification Model for SIP”, Proceedings of the IEEE International Conference on Communications, Communications and Information Systems Security Symposium (ICC’09-CISS), 937-942, IEEE Press, Dresden, Germany, June 2009. Drogkaris P., Geneiatakis D., Gritzalis S., Lambrinoudakis C., Mitrou L., “Towards an Enhanced Authentication Framework for eGovernment Services: The Greek case”, Proceedings of ongoing research and projects of EGOV 08 – 7th International Conference, EGOV 2008, E. Ferro, J. Scholl, M. Wimmer et al. (Eds. ), pp.189-196, Trauner Verlag, Turin, Italy, September 2008. Yannakopoulos A., Lambrinoudakis C., Gritzalis S., Xanthopoulos S., Katsikas S., “Modeling Privacy Insurance Contracts and Their Utilization in Risk Management for ICT Firms”, Proceedings of the 13th European Symposium on Research in Computer Security – ESORICS 2008, Jajodia S., Lopez J. (Eds), pp. 207-222, Springer LNCS 5283, Malaga, Spain, October 2008. Geneiatakis D., Kambourakis G., Lambrinoudakis C., “A Mechanism for Ensuring the Validity and Accuracy of the Billing Services in IP Telephony”, Proceedings of the 5th International Conference on Trust, Privacy and Security in Digital Business (TrustBus’08), 59-68, Springer LNCS 5185, Turin, Italy, September 2008. Kambourakis G., Geneiatakis D., Dagiuklas A., Lambrinoudakis C., Gritzalis S., “Towards effective SIP load Balancing: The SNOCER approach”, Proceedings of the Third Annual VoIP Security Workshop, in cooperation with ACM SIGCOMM, D. Sisalem et al. (Eds), ACM Press, Berlin, Germany, June 2006. Karyda M., Balopoulos T., Dritsas S., Gymnopoulos L., Kokolakis S., Lambrinoudakis C., Gritzalis S., “An Ontology for Secure e-Government Applications”, Proceedings of the DeSeGov’06 Workshop on Dependability and Security in eGovernment (in conjunction with ARES 2006 1st International Conference on Availability, Reliability, and Security), A. Tjoa, E. Schweighofer (Eds. ), pp. 1033-1037, IEEE Computer Society Press, Vienna, Austria, April 2006. Geneiatakis D., Kambourakis G., Dagiuklas A., Lambrinoudakis C., Gritzalis S., “SIP Message Tampering: The SQL code INJECTION attack”, Proceedings of the 13th IEEE International Conference on Software Telecommunications and Computer Networks (SoftCOM 2005), N. Rozic et al. (Eds. ), pp. 176-181, IEEE Press, Split, Croatia, September 2005. Geneiatakis D., Kambourakis G., Dagiuklas A., Lambrinoudakis C., Gritzalis S., “A Framework for Detecting Malformed Messages in SIP Networks”, Proceedings of the 14th IEEE Workshop on Local and Metropolitan Area Networks (LANMAN 2005), Ramakrishnan K. (Ed. ), IEEE Press, Chania, Greece, September 2005. Dritsas S., Mallios J., Gritzalis D., Lambrinoudakis C., “Applicability of Privacy Enhancing Technologies in Ubiquitous Computing Environments”, Proceedings of the 1st IEEE International Conference on Pervasive Services ICPS 2005 – Workshop on Security, Privacy, and Trust in Pervasive and Ubiquitous Computing SecPerU’05, P. Georgiadis, S. Gritzalis, Y. Marias (Eds. ), pp. 61-70, Diaylos Press, Santorini, Greece, July 2005. Kokolakis S., Lambrinoudakis C., Gritzalis D., “A Knowledge-Based Repository Model for Security Policies Management”, Proceedings of the MMM-ACNS-2003 2nd International Workshop on Mathematical Methods, Models and Architectures for Computer Networks Security, V. Gorodetski, L. Popyack, V. Skormin (Eds), pp. 112-121, Springer, Lecture Notes in Computer Science LNCS 2776, St. Petersburg, Russia, September 2003. Gymnopoulos L., Dritsas S., Gritzalis S., Lambrinoudakis C., “Grid Security Review”, Proceedings of the MMM-ACNS-2003 2nd International Workshop on Mathematical Methods, Models and Architectures for Computer Networks Security, V. Gorodetski, L. Popyack, V. Skormin (Eds), pp. 100-111, Springer, Lecture Notes in Computer Science LNCS 2776, St. Petersburg, Russia, September 2003. Lambrinoudakis C., Kokolakis S., Karyda M., Tsoumas V., Gritzalis D., Katsikas S., “Electronic Voting Systems: Security Implications of the Administrative Workflow”, Proceedings of the 14th International Workshop on Database and Expert Systems Applications (DEXA 2003), W06: International Workshop on Trust and Privacy in Digital Business (TrustBus), pp. 467-471, IEEE Computer Society Press, Prague, Czech Republic, September 2003. Aggelis G., Gritzalis S., Lambrinoudakis C., “Security Policy Configuration Issues in GRID Computing Environments”, Proceedings of the SAFECOMP’03 22nd International Conference on Computer Safety, Reliability and Security, B. Littlewood (Ed. ), pp. 331-341, Springer, Lecture Notes in Computer Science LNCS 2788, Edinburgh, UK, September 2003. Gritzalis S., Lambrinoudakis C., “Security Requirements of e-Government Services: An Organisational Framework”, Proceedings of the PDPTA’2002 International Conference on Parallel and Distributed Processing Techniques and Applications, H. R. Arabnia (Ed.). Vol. I, pp. 127-131, CSREA Press, Las Vegas, USA, June 2002. Ikonomopoulos S., Lambrinoudakis C., Gritzalis D., Kokolakis S. and Vassiliou K., “Functional Requirements for a Secure Electronic Voting System”, Proceedings of the IFIP TC11 17th International Conference on Information Security (IFIP/SEC2002), Ghonaimy M.A., El-Hadidi M., Aslan H.K. (Eds. ), pp. 507-519, Kluwer Academic Publisher, Egypt, Cairo, May 2002. Lambrinoudakis C., Kokolakis S., Gritzalis D., “Recurrent IT Security Issues and Recommendations: Learning from Risk Assessment Reviews”, Proceedings of the IFIP WG 9.6/11.7 Working Conference on Security and Control of IT in Society II (SCITS-II), pp. 185-195, Bratislava, Slovakia, 15-16 June 2001. Gritzalis, D., Moulinos, K., Iliadis, J., Lambrinoudakis C., Xarhoulakos, S., “PyTHIA: Towards Anonymity in Authentication”, Proceedings of the 16th International Conference on Information Security (IFIP/SEC2001), M. Dupuy, P. Paradinas (Eds. ), pp. 1-17, Kluwer Academic Publisher, Paris, France, 11-13 June 2001. Koutsabasis, P., Darzentas, J.S., Spyrou, T., Lambrinoudakis, C., Darzentas, J., “Aiding Designers to Design for All: The IRIS Approach”, Proceedings of the 6th ERCIM Workshop, User Interfaces for All, Special Theme: Information Society for All, pp. 345-347, Florence, Italy, 25-26 October 2000 (Poster Paper). Lambrinoudakis, C., “Using Smart Cards in an Educational Environment: Services and Security Features”, Information Security for Global Information Infrastructures, IFIP International Conference on Information Security (IFIP/SEC2000), 16th IFIP World Computer Congress 2000, J. Eloff, Q. Sihan (Eds. ), pp. 131-140, Kluwer Academic Publisher, P.R. of China, August 2000. Pavlopoulos, S., Anagnostaki, A., Koutsouris, D., Lymberis, A., Levene, P., Reynolds, M., Georgiadis, N., Lambrinoudakis, C., Gritzalis, D., “Vital Signs Monitoring from Home with Open Systems”, Proceedings of the MIE2000 – GMDS2000 Medical Infobahn for Europe, XVI International Congress of the European Federation for Medical Informatics and 45 Annual Congress of the German Association for Medical Informatics, Biometry and Epidemiology, pp. 1141-1145, IOS Press, Hanover, Germany, August 27 – September 1, 2000. Lambrinoudakis, C., Bofilios, D., Maistros, G., Darzentas, J., “An Intelligent Design Validation and Manufacturing Support System for Aerospace Components Manufacturers”, Proceedings of the IFORS SPC9 Conference, Intelligent Systems and Active DSS, pp. 78-85, Turku/Åbo, Finland, April 25-27, 1999. Lambrinoudakis, C., Kontoravdis, D. and Kalkani, X., “Τηλεματική και Δημόσια Διοίκηση -Τηλεδιοίκηση Ανατολικής Μακεδονίας-Θράκης και Βορείου Αιγαίου”, 30 Συνέδριο Εφαρμογών Πληροφορικής και Επικοινωνιών, Μεταρρύθμιση στο Δημόσιο Τομέα και Ελληνικές Επιχειρήσεις Πληροφορικής, pp. 107-117, Θεσσαλονίκη, 3-4 Οκτωβρίου 1997. Lambrinoudakis, C. and Bofilios D., “Smart Cards: An Innovative Architecture, Technology Issues and Applications”, Πρακτικά Διημερίδας Ασφάλεια στις Τεχνολογίες Πληροφοριών και Επικοινωνιών που διοργανώθηκε από το ανθρώπινο δίκτυο διάδοσης της Ε&Τ γνώσης ΙΚΑΡΟΣ, Πυθαγόρειο – Σάμος, 23-24 Μαΐου 1996. Beal D. and Lambrinoudakis C., “GPFP: A SIMD PE for Higher VLSI Densities than Current Machines”, Proceedings of the VLSI’91 Conference, IFIP wg 10.5, pp. 8b.1.1-8b.1.10, Edinburgh, August 1991. Beal D. and Lambrinoudakis C., “GPFP: An Array Processing Element for the Next Generation of Massively Parallel Supercomputer Architectures”, Proceedings of the Supercomputing’91 Conference, ACM, IEEE Computer Society Press, pp. 348-357, Albuquerque, New Mexico, November 1991. Beal D. and Lambrinoudakis C., “Array Processors with FP Support and RLC: A Cost-Effective Massively Parallel Computer Architecture”, Proceedings of the Fourth ISMM International Conference on Parallel and Distributed Computing and Systems, pp. 165-169, Washington D.C., October 1991. Beal D. and Lambrinoudakis C., “Enhancing the Number Crunching and General Purpose Capability of Array Processors”, Proceedings of the Sixth International Symposium on Computer and Information Sciences, IEEE Turkish Section, pp. 703-712, Elsevier, Antalya, Turkey, November 1991. Pitropakis N., Katsikas S., Lambrinoudakis C., “Cloud Security, Privacy and Trust Baselines”, in the book Cloud Computing Security, Foundations and Challenges, John R. Vacca (Ed. ), pp. 45-59, CRC Press – Taylor and Francis, 2017. Vrakas N., Fotiadis G., Lambrinoudakis C., “Key Management Techniques”, in the book Contemporary Cryptography: Theory and Applications, Burmester M. et. al. (Eds. ), pp. 541-598, Papasotiriou, Greece, 2011 (in Greek). Yannakopoulos A., Xanthopoulos S., Lambrinoudakis C., Gritzalis S., Katsikas S., “Privacy Protection Economics”, in the book Privacy Protection in Information and Communication Technologies: Technical and Legal Issues, Lambrinoudakis et.al. (Eds. ), pp. 447-467, Papasotiriou, Greece, 2010 (in Greek). Lambrinoudakis C., Gritzalis S., Katsikas S., “A Review of Privacy Enhancing Technologies for the Internet”, in the book Privacy Protection in Information and Communication Technologies: Technical and Legal Issues, Lambrinoudakis et.al. (Eds. ), pp. 3-48, Papasotiriou, Greece, 2010 (in Greek). Kambourakis G., Lambrinoudakis C., Katsikas S., “Intrusion Detection Systems for Wireless Networks: A Survey”, in the book Security and Privacy in Wireless and Mobile Computing, S. Gritzalis, T. Karygiannis and C. Skianis (Eds. ), pp. 161-181, Troubador Publishing, 2009. Geneiatakis D., Kambourakis G., Lambrinoudakis C., “SIP Security: Threats, Vulnerabilities and Countermeasures”, in the book SIP Handbook: Services, Technologies, and Security of Session Initiation Protocol, S. Ahson and M. Ilyas (Eds. ), pp. 435-456, CRC Press, 2008. Lambrinoudakis C., E. Magkos, Chrisikopoulos V., “Electronic Voting Systems”, in the book Securing Information and Communication Systems: Principles, Technologies and Applications, Furnell, S. Katsikas, J. Lopez, A. Patel (Eds. ), pp. 307-322, Artech House, 2008. Gritzalis S., Lambrinoudakis C., “Privacy in the Digital World”, in Encyclopedia of Internet Technologies and Applications, Freire M., Pereira M. (Eds. ), pp. 411-417, Information Science Reference (formerly Idea Group Reference), 2007. Lambrinoudakis C., Gritzalis S., “Security in IEEE 802.11 WLANs”, in the book Handbook of Wireless Local Area Networks: Applications, Technology, Security, and Standards, Ilyas, Ahson (Eds. ), pp. 585-606, CRC Press, 2005. Lambrinoudakis C., “Access Control Mechanisms”, in the book Computer and Information Systems Security, Katsikas S., Gritzalis D., Gritzalis S. (Eds. ), pp. 113-142, Εκδόσεις Νέων Τεχνολογιών, 2004 (in Greek). Lambrinoudakis C., Gritzalis D., Tsoumas V., Karyda M., Ikonomopoulos S., “Secure Electronic Voting: The Current Landscape”, in the book Secure Electronic Voting, D. Gritzalis (Ed. ), pp. 101-122, Kluwer Academic Publishers, 2003. Republication of the article “Smart Card Technology for Deploying a Secure Information Management Framework” (37. ), in the Library Computing, Internet and Software Applications for Information Professionals, Vol.19, Nos 3/4, pp. 147-158, MCB University Press, 2000. Cuppens-Bulahia N., Lambrinoudakis C. (Eds. ), Proceedings of the 4th Workshop on the Security of Industrial Control Systems & of Cyber-Physical Systems (CPICSSec 2017), Springer LNCS 11387, Barcelona, Spain, 2018. Cuppens-Bulahia N., Lambrinoudakis C. (Eds. ), Proceedings of the 3rd Workshop on the Security of Industrial Control Systems & of Cyber-Physical Systems (CPICSSec 2017), Springer LNCS 10683, Oslo, Norway, 2017. Fischer-Hübner S., Lambrinoudakis C. (Eds. ), Proceedings of the 14th International Conference on Trust, Privacy and Security in Digital Business (TrustBus 2017), Springer LNCS 10440 Lyon, France, 2017. Katsikas S., Lambrinoudakis C., Proceedings of the Security and Privacy in Cloud Computing (SEPRICC 2017), special track in CLOUD COMPUTING 2017, IARIA, Athens, Greece, 2017. Katsikas S., Lambrinoudakis C. (Eds. ), Proceedings of the 13th International Conference on Trust, Privacy and Security in Digital Business (TrustBus 2016), Springer LNCS 9830, Porto, Portugal, 2016. Cuppens-Bulahia N., Lambrinoudakis C. (Eds. ), Proceedings of the 2nd Workshop on the Security of Industrial Control Systems & Cyber-Physical Systems (CyberICPS 2016), Springer LNCS 10166, Crete, Greece, 2016. Fischer-Hübner S., Lambrinoudakis C. (Eds. ), Proceedings of the 12th International Conference on Trust, Privacy and Security in Digital Business (TrustBus 2015), Springer LNCS 9264, Valencia, Spain, 2015. Katsikas S., Lambrinoudakis C. (Eds. ), Proceedings of the 1st Workshop on the Security of Cyber Physical Systems (WOS-CPS 2015), Springer LNCS 9588, Vienna, Austria, 2015. Furnell S., Lambrinoudakis C., Lopez J. (Eds. ), Proceedings of the 10th International Conference on Trust, Privacy and Security in Digital Business (TrustBus 2013), Springer LNCS 8058, Prague, Czech Republic, 2013. Vergados D., Lambrinoudakis C. (Eds), Proceedings of the 16th Pan-Hellenic Conference on Informatics (PCI 2012), IEEE CPS, Piraeus, Greece, 2012. Lambrinoudakis C., Rizomiliotis P., Wlodarczyk T. W. (Eds), Proceedings of the 3rd IEEE International Conference on Cloud Computing Technology and Science (CloudCom 2011), IEEE Press, Athens, Greece, 2011. Furnell S., Lambrinoudakis C., Pernul G. (Eds. ), Proceedings of the 8th International Conference on Trust, Privacy and Security in Digital Business (TrustBus 2011), Springer LNCS 6863, Toulouse, France, 2011. Shon T., Lambrinoudakis C., Taniar D., Wombacher A. (Eds), Proceedings of the 8th FTRA International Conference on Secure and Trust Computing, data management and Applications (STA 2011), Springer CCIS 186, Loutraki, Greece, 2011. Camenisch, J., Lambrinoudakis, C. (Eds), Proceedings of the 7th European Workshop on Public Key Infrastructures, Services and Applications (EuroPKI 2010), Springer LNCS 6711, Athens, Greece, 2010. Fischer-Hübner S., Lambrinoudakis C. (Eds. ), Proceedings of the 6th International Conference on Trust, Privacy and Security in Digital Business (TrustBus’09), Springer LNCS 5695, Linz, Austria, 2009. Lambrinoudakis C., Pernul G., Tjoa A (Eds. ), Proceedings of the 4th International Conference on Trust, Privacy and Security in Digital Business (TrustBus’07), Springer LNCS 4657 Regensburg, Germany, 2007. Fischer-Hübner S., Furnell S., Lambrinoudakis C. (Eds. ), Proceedings of the 3rd International Conference on Trust, Privacy and Security in Digital Business (TrustBus’06), Springer LNCS 4083, Krakow, Poland, 2006. Gritzalis S., Lambrinoudakis C. (Eds. ), Invited Session on Security and Privacy in eBusiness, eCommerce, eGovernment Environments – 5th IEEE International Symposium on Signal Processing and Information Technology (ISSPIT’05), IEEE Computer Society Press, Athens, Greece, 2005. Furnell S., Katsikas S., Lambrinoudakis C. (Guest Eds. ), “Trust, Privacy and Security in Digital Business”, Special Issue of Information (ISSN 2078-2489), Open Access Information Science Journal, MDPI, 2016. Camenisch J., Lambrinoudakis C. (Guest Eds. ), “Public Key Services and Infrastructures”, Special Issue of the Mathematical and Computer Modelling journal, Vol.57, No. 7-8, Elsevier,2013. Shon T., Park J.H., Lambrinoudakis C., Seigneur J. (Guest Eds. ), “Advanced Information Security”, Special Issue of the Computers & Mathematics with Applications Journal, Vol.65, Iss.9, pp.1233, Elsevier, May 2013. Jaatun M.G., Lambrinoudakis C., Rong C. (Guest Eds. ), “Security in Cloud Computing”, Special Issue of the Journal of Cloud Computing: Advances, Systems and Applications, Vol.1, Issue 1, Springer,2012. Shon T., Lambrinoudakis C., Zhou X. (Guest Eds. ), “Next Generation Communication and Network Security”, Special Issue of the Security and Communication Networks Journal, Vol.5, No. 10, Wiley,2012. Fischer-Hübner S., Furnell S., Lambrinoudakis C. (Guest Eds. ), “Trust, Privacy and Security in Digital Business -2006”, Special Issue of the International Journal of Computer Systems, Science and Engineering, Vol.22, No. 5, CRL Publishing,2007. Lambrinoudakis C., Mitrou L., Gritzalis S., Katsikas S., (Eds. ), Privacy Protection in Information and Communication Technologies: Technical and Legal Issues, Papasotiriou, Athens, Greece, 2010 (in Greek). Acquisti A., Gritzalis S., Lambrinoudakis C., De Capitani di Vimercati S., (Eds. ), Digital Privacy: Theory, Technologies and Practices, Auerbach Publications – Taylor and Francis, New York, 2008.